Rumours of Nokia working on an Android smartphone have been going around for a month or two now and no one really knows that the company is actually going to come up with an Android phone or will it just stick with Microsoft. 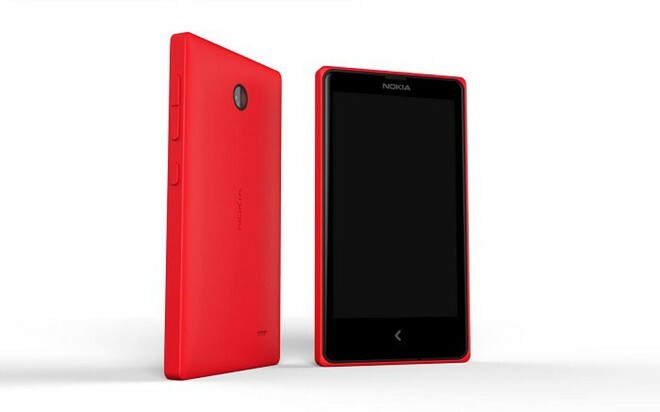 There were a lot of leaked pictures of the phone as well code-named Nokia X (Normandy). According to source, the company might show its new Android smartphone later this month and according to the leaks so far the phone might roughly cost around $110 which makes it an affordable smartphone for the developing market based on open source operating system. According to some reports Nokia X Normandy won’t be able to access Google’s Play Store and that does not come as a surprise as according to some leaked rumors it was said that Nokia is coming up with their own version of Android OS, instead of a Google Play Store users will be able to download some popular Android apps with the help of Nokia and Microsoft’s own created market which will include Twitter, Facebook, Skype and many other social apps. Nokia will also be providing other different services like their own personal maps instead of Google Maps. The $110 price of the Nokia X Normandy comes from a Vietnamese retail website and said that the Nokia X Normandy was priced for around $110 along with Nokia Lumia 525 for $160. As of a recent result the company today have changed the color for all their social pages and accounts like Facebook and Twitter to Green that is supposed to be a signature color for Android. If the color represents Android than we sure might get a chance to see the launch of Nokia’s first Android smartphone on Mobile World Congress or the company might be giving us a teaser about what’s about to come. According to CNET a spokesperson of Nokia told them that the change in color is pointing towards a “teaser of things to come”. There are a lot of budget Android smartphones already in the market and it won’t be long before we will get to see how good Nokia competes against them with their own affordable Android smartphones.